Broward Supervisor of Elections Brenda Snipes submitted her resignation, ending a 15-year tenure. Her resignation comes just hours after the completion of the election recount. “It is true. She did send it,” said Burnadette Norris-Weeks, counsel to the Supervisor of Elections Office. Evelyn Perez-Verdia, former office spokeswoman, said Sunday she was told that the letter was sent “to Tallahassee” earlier in the day. Norris-Weeks said she read an early draft of the letter. In the version she read, she said Snipes, 75, expressed a desire to spend more time with her family. Norris-Weeks said she believes the effective date of Snipes resignation to be January 2nd. Perez-Verdia said she was told the effective date was January 5th. A January resignation likely puts responsibility for appointing a replacement in the hands of Governor-elect Ron DeSantis, rather than outgoing Governor Rick Scott. DeSantis’s swearing-in is January 8th. Scott was elected to the U.S. Senate, and the swearing-in for that job is January 3rd. 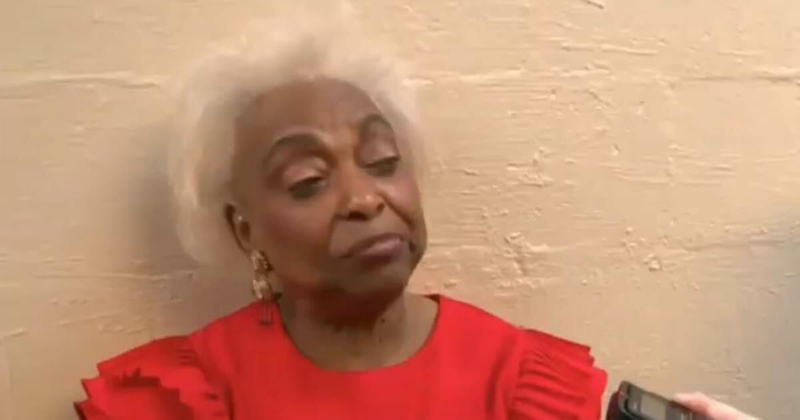 During the recount of the midterm election, Scott was a fierce critic of Snipes, accusing her of years of incompetence and asking the Florida Department of Law Enforcement to investigate what he said: “may be rampant fraud.”. Scott was elected to the U.S. Senate in the November 6th election. Final vote tallies were submitted by counties to the state on Sunday. After November elections were over, Snipes wouldn’t say how many ballots were outstanding and uncounted and her office wasn’t reporting updated results as often as the law required. And there were repeated issues during the recount, including Snipes’ acknowledgment that her office couldn’t find 2,040 ballots that were originally included in the first vote count but not in the machine recount of state elections. She was sure they were somewhere in her office, probably mixed in with other ballots, she said. Snipes gained national attention, as people grew more and more impatient for finality in three close statewide elections — governor, U.S. Senate, and agriculture commissioner. Scott wasn’t her only critic. U.S. Senator Marco Rubio, R-Fla., and President Donald Trump were watching this debacle closely. “The “demographics” of #PalmBeach voters is Americans & Floridians. “Unfortunate” is your refusal to count their votes in accordance with the law. It’s a good thing eyes were on this election. Democrats would have stolen it if not for people paying close attention. Snipes is no stranger to criticism for vote counts in multiple elections. The most serious noted was a circuit judge’s ruling, earlier this year, that her office violated state and federal law by destroying ballots from the 2016 primary election too early. She authorized the ballot destruction 12 months after the primary, instead of waiting 22 months as required. Why would she do that? Because the ballots were destroyed while the ballots were the subject of a public records lawsuit from a losing candidate seeking to inspect the documents. In 2016, four voters reported receiving ballots that didn’t contain a referendum on legalizing medical marijuana. Snipes said the problem wasn’t widespread, and a circuit court judge said she was taking sufficient action to correct it. Again in 2016, the primary election, results were posted on the elections office website before the polls closed, a violation of state law. In 2012, approximately 1,000 uncounted ballots were discovered a week after the election. President Trump, Rubio and Scott have asserted that there was fraud and, possibly, an attempt to steal elections going on under her watch. It’s clear to anyone watching that this is the case. As the slow vote counting continued after the November 6 election, Democrats said they wanted to ensure all votes were counted, but prominent voices in her party didn’t rise to Snipes’ defense. During the final days of the recount, Snipes foreshadowed an early departure as elections supervisor when she said last week “it is time to move on” but didn’t specify a timetable, saying she wanted to talk to her family. Of course, during the recount, she blamed racism for the widespread backlash against her. All to familiar. Snipes was appointed the supervisor of elections in 2003 by the. Governor Jeb Bush, after he removed a previous supervisor of elections for incompetence. Broward County appears to be a cesspool of contamination. Bush criticized Snipes last week, writing on Twitter it was time for her to go. She was elected to a full term in 2004, re-elected in 2008, 2012 and 2016. She makes $178,865 a year after a 20 percent raise in 2016, with two smaller raises since then. There isn’t any instant in which I would ever refer to her as Doctor. She has proven to be a fraud and a disgrace to the country. How many elections are tainted with the corruption that is Broward County? An DOJ/FBI investigation into these repeated Organized Voter abuses MUST take place. They are either guilty as hell or the Blogs and Media are lying to us. When will we get election officials that are not evil.? Barack Obama benefited from her cheating… & I assure you hers was not the only cheating HE benefited from in 2012. They have been perfecting it ever since! DeSantis needs to think long & hard who he appoints, bc I'm sure there are others JUST like her ALL over this country… CHEATERS! “ I have Served The Purpose I Came Here For” Well, this explains the corruption we have been witnessing. It's way past the time for all these Corrupt people to srart getting Charged, Convicted, and PRISON SENTENCES!!! The only reason this hasn't happened, is because all of our politicians are Corrupt as well!!! Of course racism was the reason she was attacked. It couldn't possibly have been a career of incompetence!!! Democrat till the end. Snipes new job announced in Picture!! Snipes needs to be charged!!! LolZ of course you have. Cheated your asZ off for the most traitorous party for years & years. Hope you (brenda snipes) enjoy your stay in prison & you better get to praying that you are not accused of treason. I’m sad to say this is exactly how the Democrats win elections. CHEATING.